A new thriller from award-winning best-selling author Robert Stanek! The first book in the series, The Pieces of the Puzzle, was an instant Top 10 Mystery Bestseller and a #1 Fiction Bestseller in Audio. Now former NSA agent turned rogue operative Scott Madison Evers is back in an all new action thriller. Still a man on the outside looking in, Scott Evers is working security onboard the Sea Shepherd, an Island class vessel performing fishery protection patrols in the Mediterranean Sea. No, Scott Evers hasn't become an environmentalist. He's about as far from the pie-in-the-sky happy people he has sworn to protect as any person could ever be. But he's got a job to do. Namely, to keep the yuppies from doing stupid things that will get them killed. 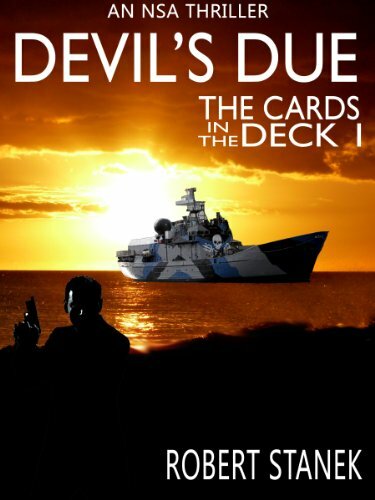 With tensions heating up in the Mediterranean Sea and with terrorists afoot, Scott's an instant away from everything going as terribly wrong as he fears. When the dust clears, his world will never be the same again.